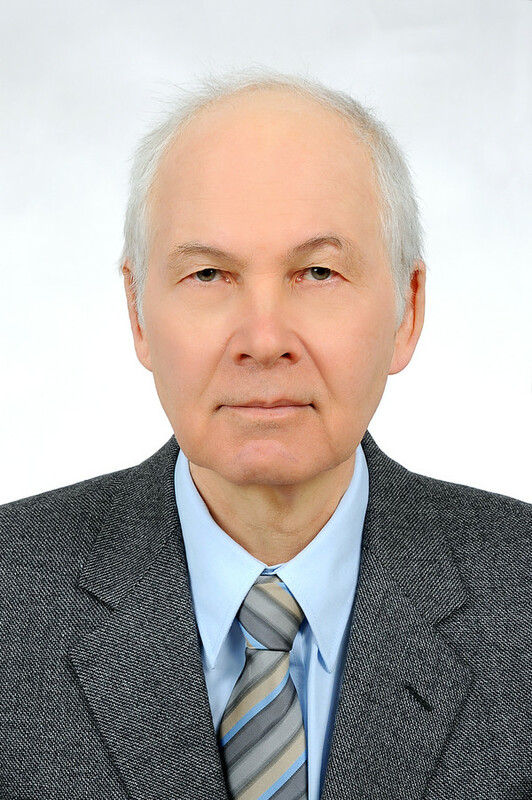 Prof. Vitalii Dugaev, DSc, PhD, Eng. Doctor of Science (Habilitation) in Physics - 1996. Chernovtsy State University (Ukraine). Thesis: "Correlations and impurities in narrow gap semiconductors and low dimensional structures"
PhD in Physics - 1980. Chernovtsy State University (Ukraine). Thesis: "Theory of impurity states in narrow gap semiconductors". MS in Electronic Engineering - 1968. Technical University of Lvov (Ukraine). 2004 - 2015: Professor Catedrático Convidado, Department of Physics and Center for Physics of Fundamental Interactions (CFIF), Instituto Superior Técnico, Lisbon (Portugal). 2000 - 2001: Scientist, Max-Planck-Institut für Mikrostrukturphysik, Halle (Germany). 1977 - 2010: Research Associate and Head of Theory Department (since 1997), Frantsevich Institute for Problems of Materials Science, National Academy of Sciences of Ukraine, Chernovtsy (Ukraine). 1970 - 1977: Research Associate and Head of Theory Group, Technical University of Lvov (Ukraine). 07-09/2008: European Synchrotron Radiation Facility, Grenoble (France). 06-09/2007: Max-Planck-Institut für Mikrostrukturphysik, Halle (Germany). 06-09/2006: Institut Néel, CNRS, Grenoble (France). 03--05/2000: Center of Theoretical Physics, Polish Academy of Sciences, Warsaw (Poland). Refereeing: Physical Review Letters, Physical Review B, Europhysics Letters, National Science Foundation (USA), National Science Center (Poland), European Research Council Executive Agency (ERCEA), etc.